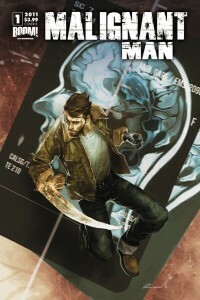 Reports are the Zak Olkewicz has signed on to write the adaptation of Malignant Man. James Wan who created the comic along with Michael Alan Nelson (writer) & Piotr Kowalski (artist) will direct. The story follows a paitent with terminal cancer who finds out his tumour is a parasite and after being given other powers, he must battle an army of evil beneath society's skin.